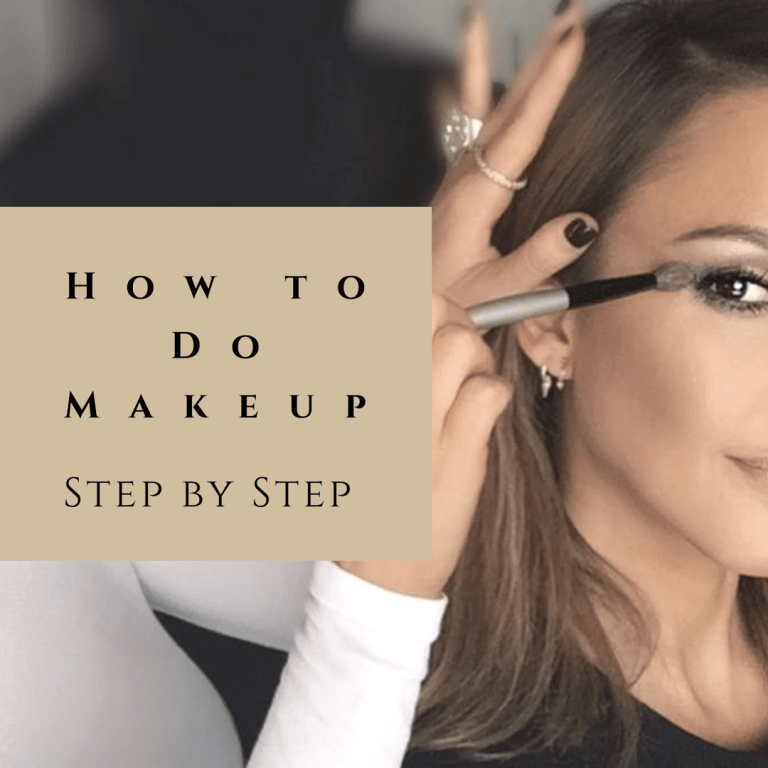 How to Do Makeup at Home? How to Apply Makeup? Makeup Steps? If these questions are on your mind, follow these steps and you are sorted! It is very important to have a clean skin before applying any makeup. So the first step is to clean your skin either using a mild face wash or a cleanser. When we clean our face, the pH balance or the water balance of the skin gets disturbed. To restore the pH balance of the skin we must use a toner. A toner also helps in removing excess dirt from the skin. Use a mild toner with the help of a cotton ball. It also helps in tightening the pores. A moisturizer helps in maintaining the water balance of the skin. It makes the skin more soft and supple. Choose a moisturizer according to your skin type. Gently dot the moisturizer on the face and blend it in the skin. Use a primer on the face. A primer is of great importance as it makes the skin smooth, acts as a barrier between the face and the foundation and makes the makeup more long-lasting. You can use a basic face primer, or you can use one with special qualities, such as a matte finish or a redness reducer or a pore minimizer. Concealers are more opaque and longer lasting than foundations hence they hide the problem areas better than foundations. Concealers can be used on under eye dark circles, redness around the nose, pimples, and discoloration anywhere on the face. Note: we will talk about the right color of the concealers in upcoming articles. Use a foundation of your skin tone. Test the color on your jawline not anywhere else. For everyday wear use liquid foundation as it gives sheer coverage. Use a foundation with SPF as it helps to protect your skin from sun damage. If you don’t like so much on your skin skip applying primer and concealer and instead of using a simple moisturizer use a tinted moisturizer. Apply dots of foundation on the face and blend using a foundation brush or a buffer brush. Choose a powder which is one tone fairer to your skin tone. Using a powder brush apply powder to the entire face. Powder helps in setting the foundation and helps in reducing shine. It also makes other product application on the face easier. Using a blusher blush apply blusher on your cheeks. The placement of blush depends on the face which we will discuss in upcoming articles. Apply eye primer on the entire eyelid and blend proper using your fingertip. Apply eyeshadow to the lid area using an eyeshadow brush. Blend the sharp lines using a blending brush. Apply kohl in the waterline. Forgive a softer look use a brown kohl whereas for a bolder look use black kohl. Apply eyeliner to outline the eyes. Eyeliner helps in giving definition to the eye. Apply mascara on the lashes. Either use volumizing mascara to add volume to your lashes or lengthening mascara for longer lashes. Apply lip liner to define the lips. Lip liner gives a proper shape to the lips, prevents the lipstick from going outside the lips and makes the lipstick stay longer. Choose a shade matching to your lip color. Apply lipstick either using a lipstick brush or apply directly. To give a shinier effect you can also use a gloss. Everyuth Face Wash Moisturizing Fruit – Should You Buy ?